We at Turkey Flat are the proud custodians of an unbroken line of commitment to Barossa viticulture and wine that stretches back five generations to the planting of the first ‘Ancestor’ vines in 1847. The impetus for Christie Schulz to make the transition from grape growers to winemakers came in 1987 when she realised the historic property had to be saved from the Government’s well-meaning, but ultimately destructive vine-pull scheme. The identity of this now iconic winery also speaks of its ties to this place, known locally at settlement in the 1840s as ‘Turkey Flat’ after the large flocks of plains turkeys (Australian Bustards – also adopted as our mascot) gathered along its river banks. The old vines and family’s original 186s butcher shop (now Cellar Door) still play an integral role in life at Turkey Flat today. Here the winemaking team pays homage to this unique history by creating wines of integrity, elegance and refined power. Our Cellar Door is open 7 days (except Good Friday, Christmas Day & Boxing Day) 11am-5pm. What’s a shared glass of wine in a beautiful garden or by a roaring fire without a little something to eat? We offer small bites to solve this very problem – simple, but tasty options to fill the gaps between lunch & dinner. 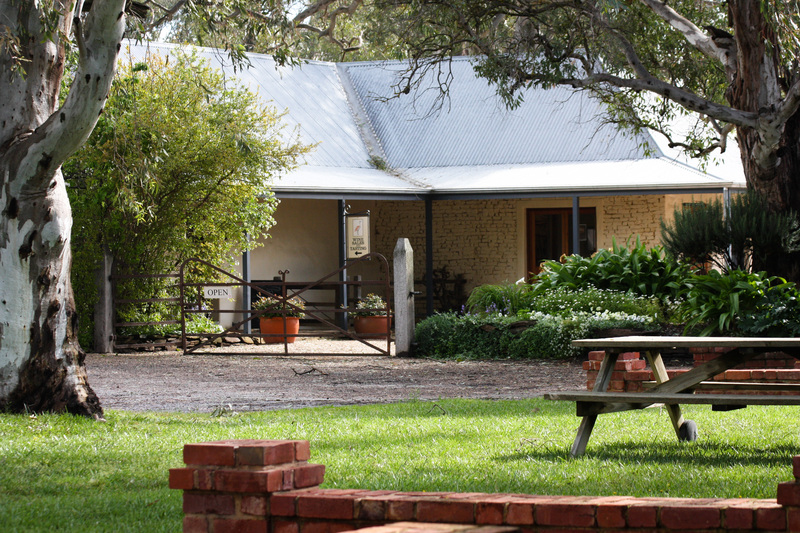 We’re a quaint, little Cellar Door, so we request that groups please contact us for a booking. Next > The Barossa Valley Cheese Co.